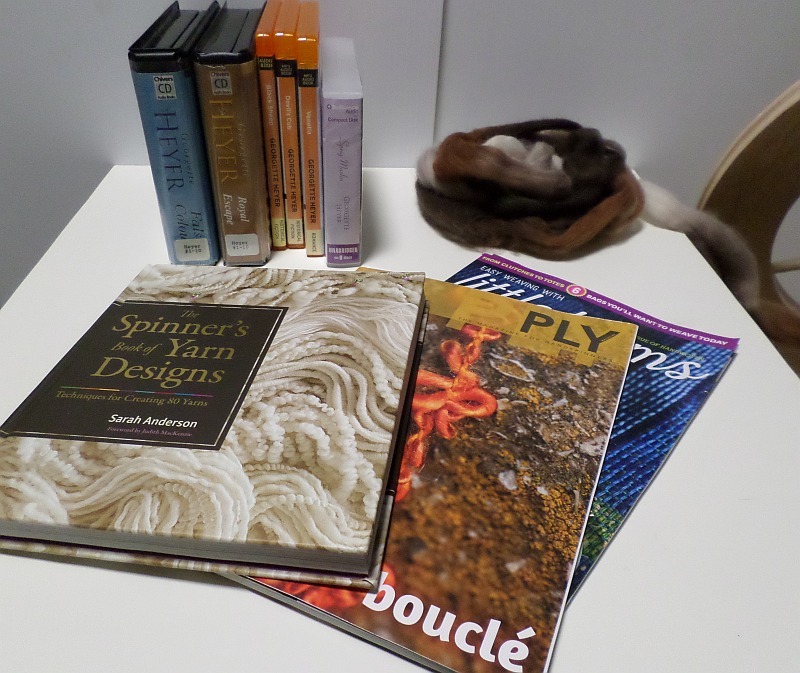 Really, there seems to be no end of the jokes you can make about dyeing yarn and fiber. 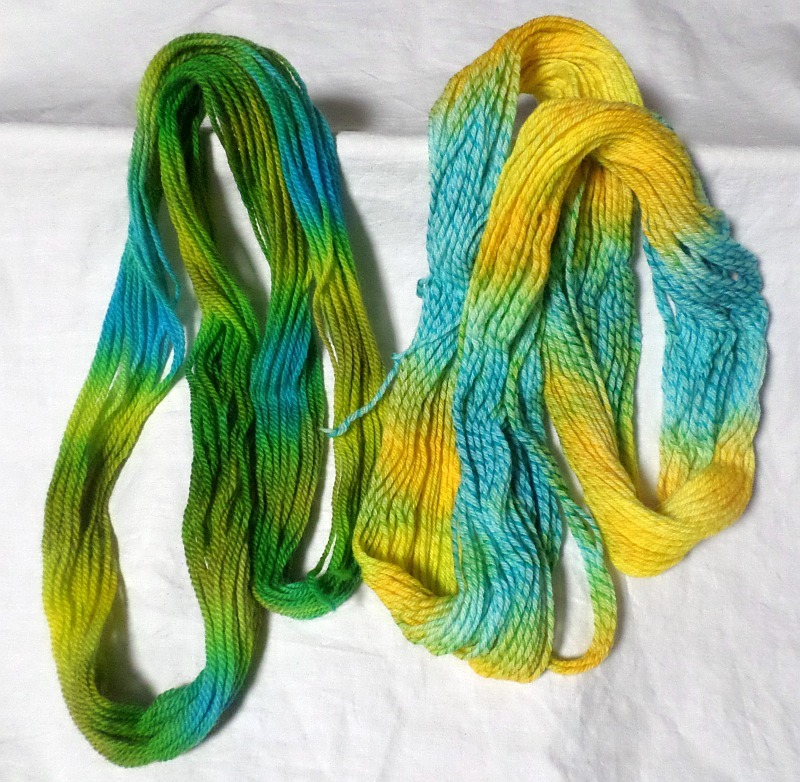 There are MANY things to love about dyeing your own yarn and fiber. It’s creative, it’s surprising, and it produces resluts unlike anything you’ll find anywhere else. Every yarn and fiber seems to behave a little bit differently. The skein on the right in the photo below is called “Licorice Twist” yarn. One ply dyes darker than the other. So close to dry that I can’t wait any longer.